Want to be on GLEE? : All the details on the open call audition! GLEE’s executive producers are holding a nationwide online casting search for fresh, young, talented performers to fill new roles that will be featured during the show’s second season. Beginning March 30, amateur and professional performers between the ages of 16 and 26 will have the opportunity to submit an audition video exclusively on MySpace at myspace.com/gleeauditions. Hopefuls will be able to upload their videos beginning today through April 26. Videos must feature an explanation about why the auditioner wants to be on GLEE as well as a demonstration of his/her stellar singing ability by performing one of 10 GLEE hits, including “True Colors,” “You Can’t Always Get What You Want” and “Lean on Me.” Performances must be either acapella or with single instrument accompaniment via MySpace Karaoke or by uploading their own pre-recorded videos. Audition videos must be limited to five minutes in length – a one-minute introduction and a four-minute song – and are limited to one submission per person. Fans will be able to share the videos across various networks, post comments and rate their favorites with gold stars. Visit myspace.com/gleeauditions for more information, song list and additional rules. 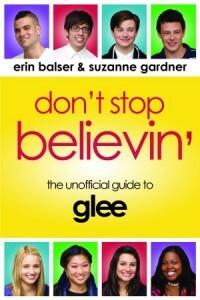 So there you have it, gleeks! Now tell me…will YOU be auditioning? Be sure to let me know if you do! Good luck to everyone who tries out! Update: I’ve also written a post with some commentary on the open call audition process. Check it out here. Where did you get the song list from? Yes I will, and I am so excited! Donna: The song list is now available on the MySpace page! Ashley: Hrm, perhaps there are some server problems? Definitely try again! i’m no actor or singer, but i’ve been browsing the submissions and this one is by FAR my favorite. not only is the girl is a ridiculous singer, but she seriously looks EXACTLY like lea michele. seriously guys, have a look-alike on the show could make season 2 HILARIOUS. plus she has a fantastic voice and stage presence. VOTE FOR HER. You should all watch, rate, or vote for me if you like my video! Just trying to get it out there! please vote for this girl to be on glee. she has valid points! How I wish I could be part of Glee. hey im 15 ,16 this year how old do you have to be to audition for glee but i really love it . I live and breathe this episode! I missed the deadline, but please consider I can sing and dance and I really want to be on glee. I will send in a video if you would like just please consider me for season 2. please, please. My name is Shinnomon and I love music. I love God and I love singing and dancing. I really want to audition for glee. Please consider me. Please. I want to be on glee SO BAD!